Durrants House has been on this site from approximately 1866/67. It was built for Thomas Hoade Woods, a partner in the auctioneering firm of Christie, Manson and Woods, now most popularly known just as ‘Christies’. Woods was a tenant of the Durrants farm land and purchased several acres of the estate to have the attractive Tudor-style mansion built. Eventually over a period he purchased 224 acres. 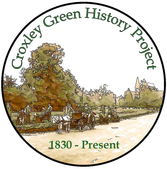 The estate was partly in the Rickmansworth District and partly in the Watford District and comprised a mixture of arable and meadow land as well as substantial orchards. A large area was left as parkland as well as woodland. There were three lodge houses situated around the boundary and the estate included the farmhouse, Rouse barn and farm buildings. Woods retired to Bournemouth in 1903 and passed away unmarried in 1906 aged 76. His estate at that time, together with an outstanding collection of paintings and drawings, was valued at half a million pounds. Durrants Estate was sold to Charles Morland Agnew of Thos. Agnew & Sons, Fine Art Dealers. He died in May 1931 and in 1933 Durrants was sold to Headstone Manor Estates Ltd., which was taken over by Croxley Estates Ltd. They developed most of the estate with semi-detached houses to accommodate the growing population of Metroland using Arthur Pitkin and F J Simmonds as builders. Detached and semi- detached houses were for sale from £600 to £1000, with £35 deposit and 19 shillings and 7 pence repayments which apparently included the ‘rates’. Prospective buyers could make enquiries at the Merchant Taylors’ Sports Club and show houses were soon erected for viewing. Old Merchant Taylors’ school, founded in London and situated in Charterhouse Square in the 1930’s, was seeking alternative accommodation outside the city. 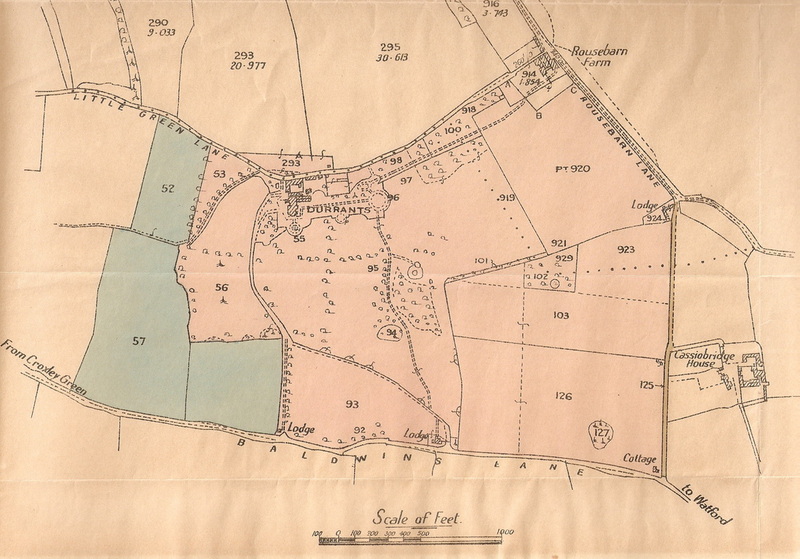 Land was acquired by the school and a move to the Sandy Lodge/Moor Park Estate took place in 1933. However, as their playing fields were still in Catford, South London, Durrants House and the adjacent land was purchased in 1936 by the school. 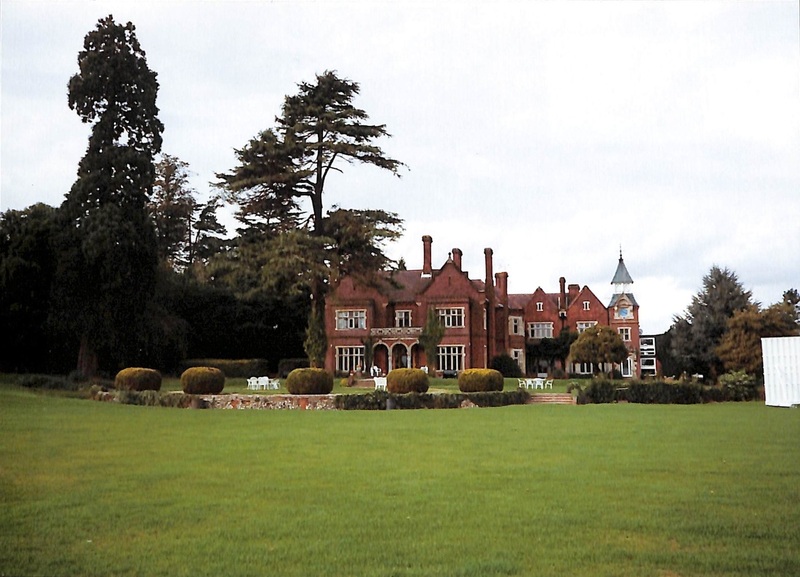 The grounds were used for sports facilities including rugby and the house converted to a clubhouse. In 1947 an Old Merchant Taylors’ society was formed and the conservatory was demolished in 1964 to make way for squash courts which eventually provided greater facilities to allow non members to join the club. The development of the housing estate lay to the north of Baldwins Lane bounded by Little Green Lane and Rousebarn Lane. An initial 56 "printers houses" (for Sun Printers workers) in Durrants Drive were submitted for planning permission in January 1950 by Dawe, Carter & Partners of 53 Clarendon Road Watford and was renewed in July 1952. 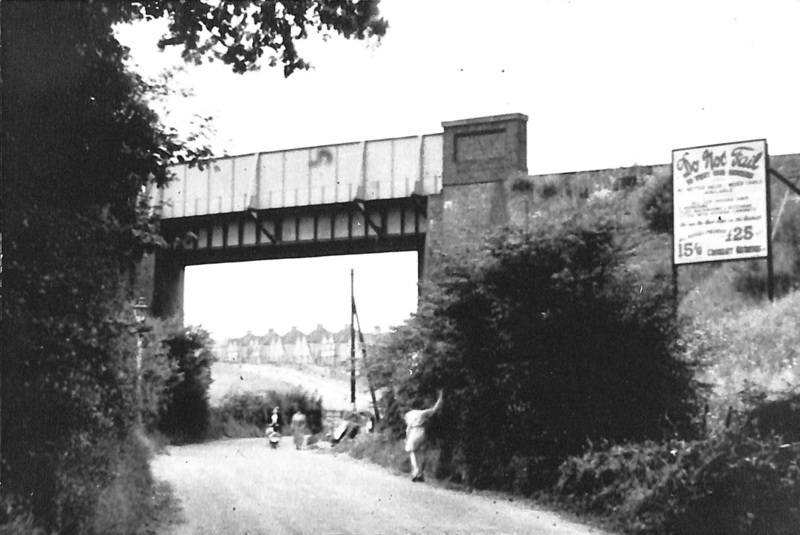 Thirty more dwellings were accepted in August 1953 (now 51- 86 Durrants Drive) and completed the following year for occupation. A second batch of 16 "printers houses" (87-94 Durrants Drive) were built three years later in 1957 whilst others were built in the vicinity including in Links Way in the late 1950’s. 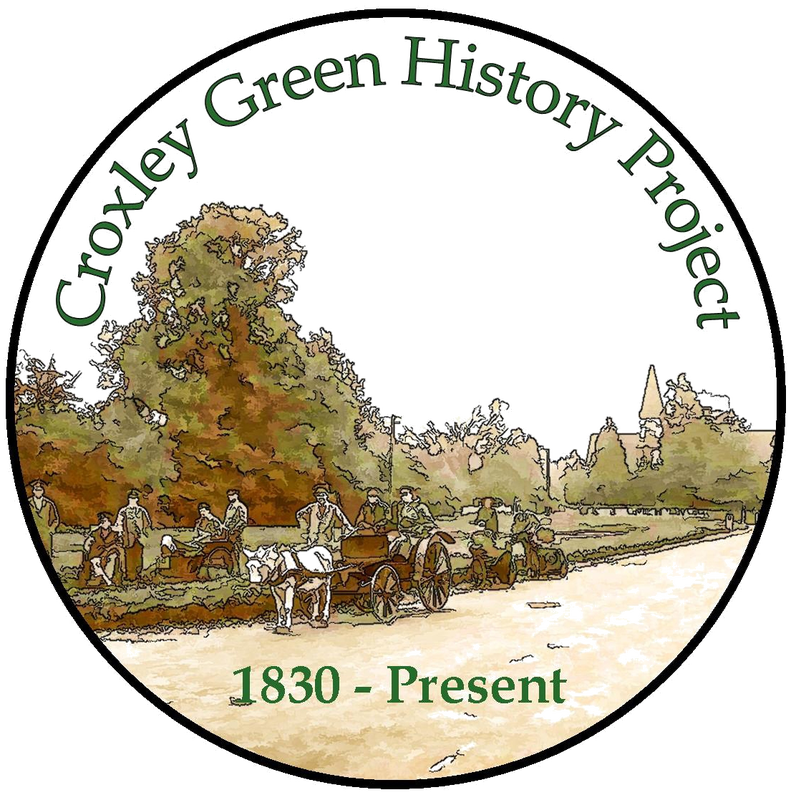 There followed many housing developments on several sites in Croxley Green as plots of land became available. The most recent, after many years of planning difficulties, is in the grounds of Durrants House. The house has been retained and converted into individual apartments by Barratt Homes and the development comprises several styles in the grounds once occupied by the Merchant Taylor’s school rugby pitch and stands.